Remote video monitoring is cutting the cord. In doing so, it’s creating new security strategies and paradigms that are bringing video surveillance into the 21st century, with cloud monitoring, mobile support and more. These new capabilities are so advanced, that network-based security systems are to closed circuit systems as smartphones are to landlines. 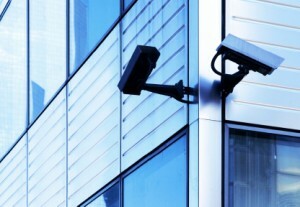 Though they can both do the same thing, network-based systems have introduced new concepts to security that would not be possible with CCTV. Thanks to network technology, remote monitoring is now truly remote, allowing any authorized user to access a live security feed from anywhere using a mobile device. Cloud storage makes remote access of previously recorded footage equally easy to access and analyze. Naturally, the easy availability of security footage makes it a target for hacking and those with malicious intent, which makes it important to authenticate feeds, control access and essentially, secure the security. This can be done with the use of 802.1x access protocols, VPN tunneling technology, and digital certificates of authority. Remote monitoring is allowing for improved responses to events from both on-site security personnel and emergency responders, who can now access feeds while en route to a security event. Mobile surveillance systems allow law enforcement to go into the field and facilitate communication between the mobile base and patrols in vehicles and on foot. For matters of national security, secret service police can use dedicated feeds to track domestic foreign dignitaries in heightened security situations. Mobile surveillance systems are also frequently used in these situations, allowing for a central and yet mobile point of contact for all security personnel. This entry was posted on Thursday, March 6th, 2014 at 10:29 pm. Both comments and pings are currently closed.